How will the Affordable Care Act change Medicare? Since it was passed in 2010, the Affordable Care Act (ACA), informally known as Obamacare, has been the source of much discussion regarding the future of our healthcare system. To keep you informed, this is the first in a series of articles that will highlight the potential areas of impact on future healthcare planning for you, your parents, and your family. In this post, we will address the Medicare impact for those who are over 65, considering retirement, or caring for an aging spouse or parents. 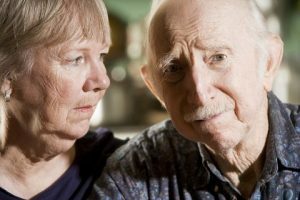 About 42 million seniors are currently part of the Medicare program, the largest U.S. government-run health care program. Medicare payments account for roughly 20 percent of all U.S. healthcare spending and have a major influence on the healthcare market.Decisions made about how Medicare pays doctors and hospitals, or the services it covers, reverberate throughout the health care system. Medicare is facing massive future funding shortfalls. Even the most optimistic estimates suggest that Medicare’s unfunded future liabilities exceed $43 trillion, and possibly run as high as $89 trillion. To remain viable, the program will have to change. The Medicare enrollment process is not likely to change. If you’re on Medicare, you do not have to purchase insurance through the state or federal insurance exchanges created by the ACA. You will continue to receive Medicare the same way you always have. Gradually closing of the “donut hole” under the Medicare Part D prescription plan, which will eventually reduce what you pay out of pocket from the current 100 percent to 25 percent by 2020. One area where seniors can expect to feel an immediate impact is the Medicare Advantage (MA) program. Under this program, Medicare contracts with private insurance companies to provide traditional Medicare benefits, as well as additional benefits such as vision care, dental, and extra days in the hospital. ACA cuts $156 billion from Medicare Advantage funding through 2022. Many insurers are expected to stop participating in the program, while others will increase the premiums they charge seniors. It may become harder to get the care you need under Medicare. More and more doctors are already refusing to accept Medicare patients. According to the Wall Street Journal, 9,539 physicians who had accepted Medicare opted out of the program in 2012, up from 3,700 in 2009. Overall estimates suggest that as many as 15 percent of all physicians no longer accept Medicare, while another 10 percent may not be accepting new Medicare patients. The decline in reimbursement rates for health care services under the ACA has the potential to speed up this process. It will be important to keep these changes in mind when planning for your parent’s or your own healthcare budgeting. People who become eligible for Medicare over the next decade may have to bear much higher costs than seniors do today, not just to pay for their Medicare insurance coverage but also to access medical care if they find that more and more of our country’s top specialists stop accepting Medicare. Will I have the funds to access private care if necessary, and will I know how to gain that access? Will my doctor continue to accept Medicare or will I need to find a new doctor? Will I be able to pay out of pocket to see a physician or will I need to remain solely within the future Medicare network of physicians? Am I enrolled in the most appropriate Medicare supplemental and prescription drug plans to cover my doctors and medications? Looking for something specific for a future post?